Thank you so much to Ian for helping me pass my driving test. 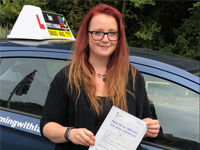 I was really lacking in confidence beforehand, and had quite high anxiety about being behind the wheel of a car after a bad experience when I was 17. His calm, cheerful and relaxed lessons helped me feel comfortable again. I really appreciated that he took the time to listen to my concerns and ensure that I was happy during my lessons, but also pushed me to improve. 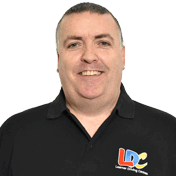 I highly recommend the LD System, the LDC workbook and Ian as an instructor. If he's still teaching in 15 years I'll send my daughter to him!